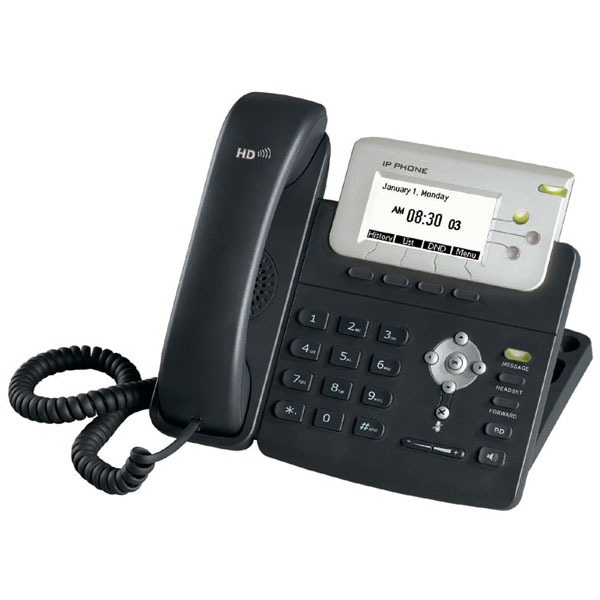 The Yealink SIP-T22P features an intuitive user-interface and enhanced functionality to make user interaction and operation very easy and efficient. The TI TITAN chipset and TI leading VoIP voice engine provide enhanced high-definition audio, outsourced management options, flexible installation and the addition of third-party communications applications. As a cost-effective IP solution, the T22P helps users to streamline their business systems and delivers a powerful, secure and consistent communication experience for both small and large office environments..
Go to the Account Tab, and select the account you want to register. After entering in your account information, select Confirm. Next, you should see the changes being made on the phone, and the status change to Registered. After the device is registered you can start making and receiving calls.